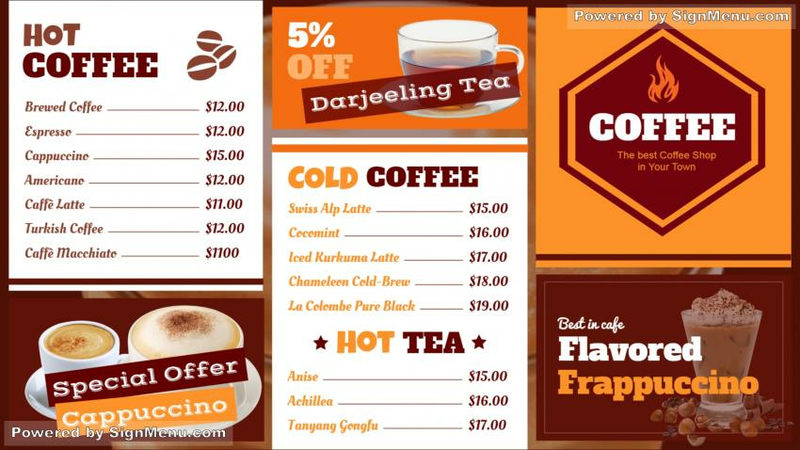 The digital coffee shop menu board template comes in different colors representing the varied colors of coffee. It is a simple menu with strict columns for depicting the different types of coffees. However, there is also space for the special offer. The font is stylish and the images attractive. Download the template and edit it through the digital signage software.